Little Organ Mass Haydn, Requiem Fauré in the Ely Cathedral Octagon. Family Carols, St Mary’s Church. African Sanctus Fanshawe in the Ely Cathedral Nave. 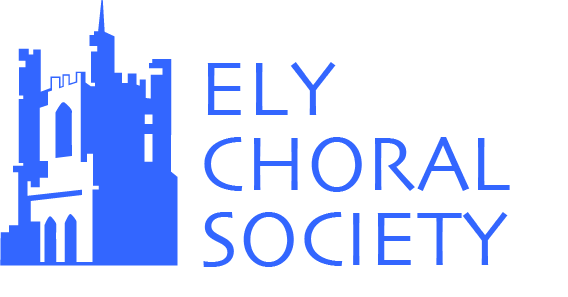 Rehearsals are held on Monday each week between 7.30pm and 9.30pm in St. John’s School, Ely. Once a month there is a social group serving a variety of teas and coffees, as well as delicious home made cakes, in the staffroom at school. Members are welcome any time from 18:45 until the start of the rehearsal to join us to chat over tea/coffee and a cake – the drink and the cake are optional as long as you fancy a chat! Dates of these groups are listed in the rehearsal schedule to the right. Some of the members also meet informally after practice and share a drink (and an optional sandwich) at the Prince Albert pub on Silver Street. Anyone from the Society is welcome to join that group as and when they can, no regular commitment is required. There is also a rehearsal on the morning or afternoon on the day of each concert, again listed on the rehearsal schedule. Attendance on the day of the concert rehearsal with the orchestra is obligatory. To ensure the highest quality of performance members should try to attend all rehearsals. For unavoidable absences you should inform a member of the committee of your absence. Members who have not attended sufficient rehearsals will not be permitted to sing in the concerts; anyone with any concerns over their ability to sing a specific concert based on attendance should speak to the conductor Andrew Parnell.